Deer Leap is a popular destination in the Lake George Wild Forest of the southeastern Adirondacks. The short 1.7 mile hike is easily accessed from a parking area along NY 9N north of Lake George. 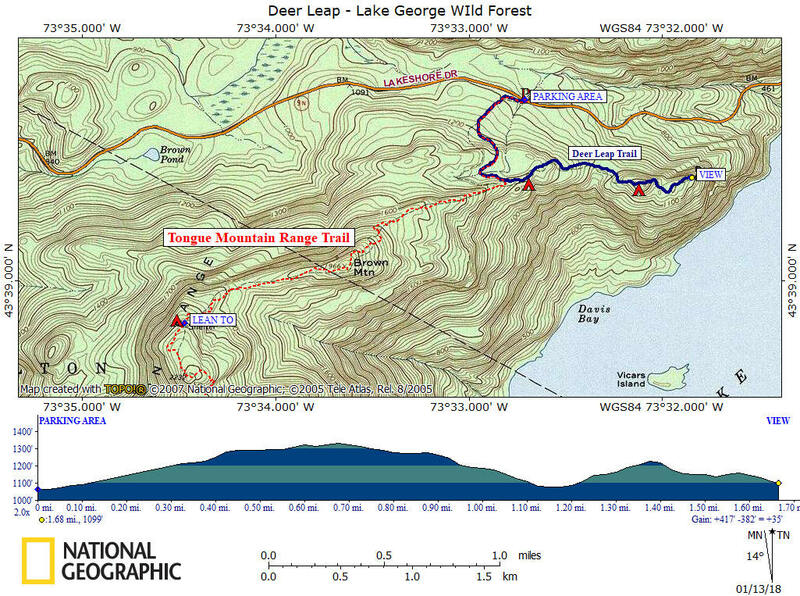 Deer Leap is reaches along a spur trail from the main Tongue Mountain Range Trail. There are some nice overlooks from Deer Leap over Lake George, although there are nicer views from along the Tongue Mountain Range Trail. The short hike is what brings hikers to this destination. Be aware of timber rattlesnakes, as this area is known to have rattlers. Turn and follow the Deer Leap Spur Trail. You'll pass a campsite and soon after there is an overlook at 0.9 miles. There is another campsite at 1.4 miles. The main overlook is at a rocky opening 1.7 miles from the trailhead with a view across the narrow Lake George. The DEC sign says 1.6 miles, however my GPS has it clocked at 1.7 miles. 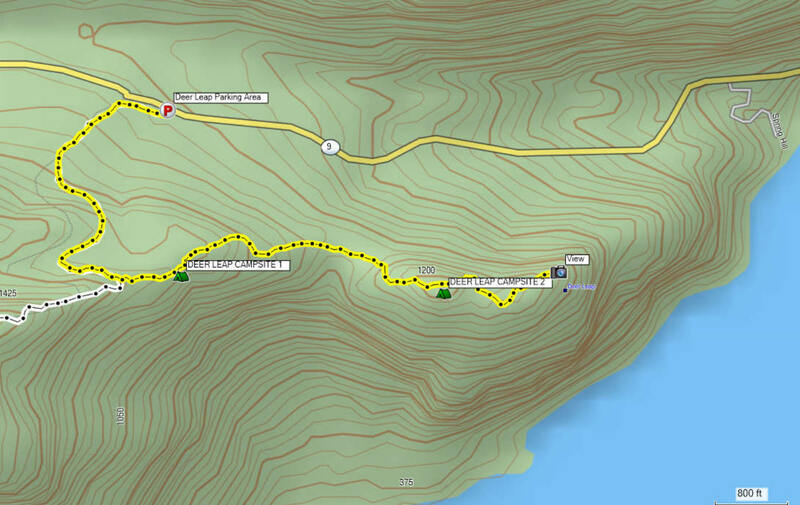 This is an overly popular hike and you can usually expect other hikers on the trail and at the trailhead. You can find more info on this hike as well as many other hikes in this area by purchasing the Hiking Guide to the Adirondack Eastern Trails .